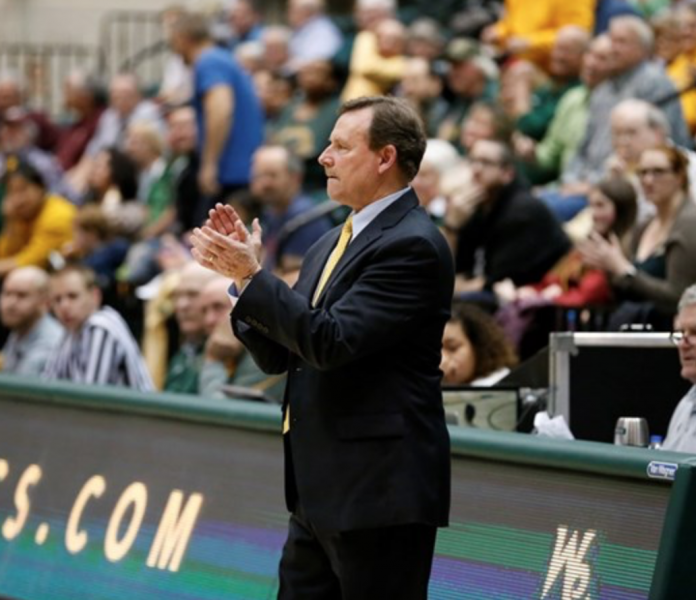 Last Wednesday, it was reported that Tony Shaver, the head coach of William and Mary’s men’s basketball team, had been fired after his 16th season. The news came after the Tribe crashed out of the Colonial Athletic Association tournament in the quarterfinals. Delaware upset the College 85-79, despite the Tribe holding a 14-point halftime lead and leading by as much as 16 at one point. My initial reaction to the news was bewilderment, frustration and anger. I still maintain that this decision is not in the best interest of the men’s basketball program at this time, but I can understand why Athletic Director Samantha Huge felt that this was a decision that needed to be made. Shaver has been the head coach for the men’s team here for 16 seasons. During that time, the Tribe failed to win a CAA championship and earn an automatic bid to the National Collegiate Athletic Association tournament. In fact, the College has never won a CAA title and is one of four original Division I teams to never make the NCAA tournament. The other three teams are Army, the Citadel, and St. Francis (Brooklyn). Furthermore, Shaver’s overall record at the helm of the Tribe was 226-268 (124-162 CAA). Men’s basketball is one of the most popular and profitable sports at the college and thus continued mediocrity and lack of a conference championship under Shaver could lead some people to argue that a change was necessary and even necessary several years ago. For those reasons, I understand why the decision was made to fire Shaver. Nevertheless, the timing of this decision and the fallout it could potentially have on the 2019-2020 season and beyond makes it unforgivable in my eyes. In 2016, junior forwards Nathan Knight and Justin Pierce entered the College as freshmen and redshirt junior guard Matt Milon transferred in from Boston College. That trio of players, rising seniors, were arguably the best class the men’s basketball program has seen in a long time. Knight was a First Team All-CAA pick and a member of the All-CAA Defensive team this season. Pierce was a Third Team All-CAA pick and Milon is one of the best three-pointer shooters in the conference. Furthermore, this year’s freshman class is also stacked with young talent. Guard Chase Audige was a member of the All-CAA Rookie team and other players like guards LJ Owens and Thornton Scott got significant playing time this season. Forward Mehkel Harvey also has incredible upside. With one year of experience under their belts and with the Tribe’s top three players returning as seniors, the Tribe was set to be a favorite in the CAA next season. Hofstra’s star guard Justin Wright-Foreman and Northeastern’s star guard Vasa Pusica are both graduating, and, on paper, the College looked to have the team to beat in the 2019-2020 season. While I agree with Huge’s sentiment that Tribe men’s basketball needs to have high expectations, I think the timing of this decision made it incredibly rash and reactionary. I was obviously disappointed with the quarterfinal loss in the CAA tournament, but I was already looking forward to next year with a chance to finally get over the hump and qualify for the NCAA tournament with a CAA championship, but that seems like much less of a possibility after Shaver’s firing. First off, you never know what kind of a fit an incoming coach will be. Often, even if the hire ends up working out, it takes a season or two to start to implement a new system and make significant strides as a program. I am fine with setting up for future success (as Tribe fans, we are used to it), but the 2019-2020 campaign presented one of the best opportunities in school history to make a run for the men’s basketball program’s first CAA championship. I was truly excited and optimistic about the upcoming season and would have honestly been okay with letting Shaver go if the Tribe failed to meet its goals for that season. I think that Shaver has been a good coach and had a significant impact on this program, but I agree that we need to have high expectations. I simply think that the timing of the firing could not have been worse and completely jeopardizes next season’s success. Even if whoever Huge decides to hire leads the College to the promised land eventually and has a great career here, I will still disagree with the timing of this decision, while respecting and admiring the hopefully good hire that Huge will have to make now. Additionally, this decision has a massive impact on the makeup of the men’s basketball team. A new coach means a new identity, and there is no guarantee that the players will buy into that identity and gel with the new hire. I have followed the men’s basketball team and covered many basketball games over the past three years, interacting with Shaver and players over that span. I never got the impression that the team was sick of playing for him or would welcome a change. On the contrary, players seemed to truly like and respect Shaver and obviously had a strong bond with him since he was responsible for recruiting them to play here. Since the firing was announced so quickly after the end of the CAA tournament, I am skeptical of how much the players knew about the upcoming decision and if any of them were on board with the move. My biggest fear beyond making a poor hire to take over for Shaver is losing recruits or current players. Even with no transfers by current players or decommits by recruits, next year’s projections are up in the air. However, losing valuable pieces on this team could doom the Tribe before the season starts, costing it an incredible opportunity to win a conference championship. Two days after the announcement, my worst fears were confirmed when junior guard Justin Pierce announced that he was exploring other options as a graduate transfer. Pierce immediately received interest from over a dozen programs, many of which have incredibly strong men’s basketball programs. While it is not a given that Pierce decides to transfer, it is likely that he will, and I doubt he would have made that decision if Shaver had returned as the head coach for his 17th season. Losing Pierce would be a huge blow to the Tribe, but it would still be a talented team. However, it is also not a given that Pierce will be the only player to look to transfer. That could be the difference between a CAA championship or another year of misery for Tribe fans. If another player or two follows in his footsteps, the College could go from CAA favorite to one of the worst teams in the league next season. Only time will tell whether a new coach will outperform Shaver and achieve what he never could. I am not entirely confident that will happen, especially since Shaver arguably achieved more than any of his predecessors, including leading the College to four CAA championship games. For that, I am incredibly grateful for what he gave to this program. But no matter what happens in the long-term, the short-term has most likely been impacted negatively and the Tribe’s hopes for next year are significantly dimmer. I would love to be proven wrong and for the College to win a CAA championship in the new coach’s first year. However, I will continue to be mystified by the timing of this decision, when it would have been easy to let Shaver have one more year and see what he could have accomplished with such a talented team. He always could have been fired after that year when the Tribe would likely be in a partial rebuild with the losses of Knight, Pierce and Milon. This week, I have had a lot of frustrating conversations about this decision, but we must now turn our attention towards making sure whoever is hired is the best fit for this program and that the players support the hire. They should be consulted in this process in order to ensure that the Tribe is set up for both short-term and long-term success. I just hope this time next year, we don’t have to look back and think about what could have been in the 2019-2020 season.